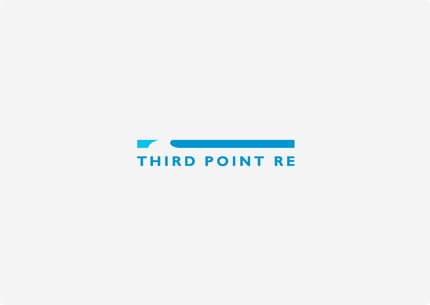 Third Point Reinsurance Ltd., through its class 4 reinsurance company, Third Point Reinsurance Company Ltd. (together, “Third Point Re”), is a Bermuda-based specialty property and casualty reinsurer with a reinsurance and investment strategy that we believe differentiates us from our competitors. Our reinsurance strategy is to be highly opportunistic and disciplined. Substantially all of our investable assets are managed by our investment manager, Third Point LLC, which is wholly owned by Daniel S. Loeb, one of our founding shareholders. Third Point LLC is an SEC-registered investment adviser headquartered in New York, managing $12.9 billion in assets as of April 30, 2013. We directly own our investments, which are held in a separate account and managed by Third Point LLC on substantially the same basis as its main hedge funds, including Third Point Partners L.P., the original Third Point LLC hedge fund. We were incorporated on October 6, 2011 and completed our initial capitalization transaction on December 22, 2011 with $784.3 million of equity capital, and commenced underwriting business on January 1, 2012. In January 2012, we received an A- (Excellent) financial strength rating from A.M. Best Company, Inc.
Our management team is led by John R. Berger, a highly-respected reinsurance industry veteran with over 30 years of experience, the majority of which was spent as the principal executive officer of three successful reinsurance companies. In addition, we have recruited a management team around Mr. Berger that also has significant senior leadership and underwriting experience in the reinsurance industry. Our strategy includes managing reinsurance volatility by focusing on lines of business that have historically demonstrated more stable return characteristics, such as limited catastrophe exposed property, auto, workers compensation and certain segments of crop. These lines of business are often characterized as having exposure to higher frequency and lower severity claims activity. We underwrite a mix of short to medium tail personal lines and commercial lines. We established the Third Point Reinsurance Opportunities Fund Ltd., Third Point Reinsurance Investment Management Ltd. and Third Point Re Cat Ltd. on June 15, 2012, in partnership with Hiscox Insurance Company (Bermuda) Limited. This is an openended fund providing exposure to a diversified Portfolio of peak zone natural catastrophe risk. Catastrophe reinsurance is an emerging asset class that has historically provided uncorrelated, attractive returns with low volatility. The Fund combines a world class team and platform with superior deal flow, party sourced through a partnership with global reinsurer Hiscox. Our investment manager, Third Point LLC, utilizes an investment strategy that deploys capital in both long and short investments with favourable risk/reward characteristics across select asset classes, sectors and geographies. Third Point LLC identifies investment opportunities using a combination of top-down asset allocation decisions and a bottomup, value-oriented approach to single security analysis. Third Point LLC seeks dislocations in certain areas of the capital markets or in the pricing of particular securities and supplements single security analysis with an approach to portfolio construction that includes sizing each investment based on upside/downside calculations, all with a view towards appropriately positioning and managing overall exposures. Through our investment manager, Third Point LLC, we make investments globally, in both developed and emerging markets, in all sectors, and in equity, credit, commodity, currency, options and other instruments. Third Point LLC has historically favoured “event-driven” situations, in which it believes that a catalyst, either intrinsic or extrinsic, will unlock value or alter the lens through which the greater market values a particular investment. Third Point LLC attempts to apply this “event” framework to each of its single security investments and this approach informs the timing and risk of each investment. Reproduced with the permission of Third Point Reinsurance Ltd. Copyright Third Point Reinsurance Ltd. All rights reserved.